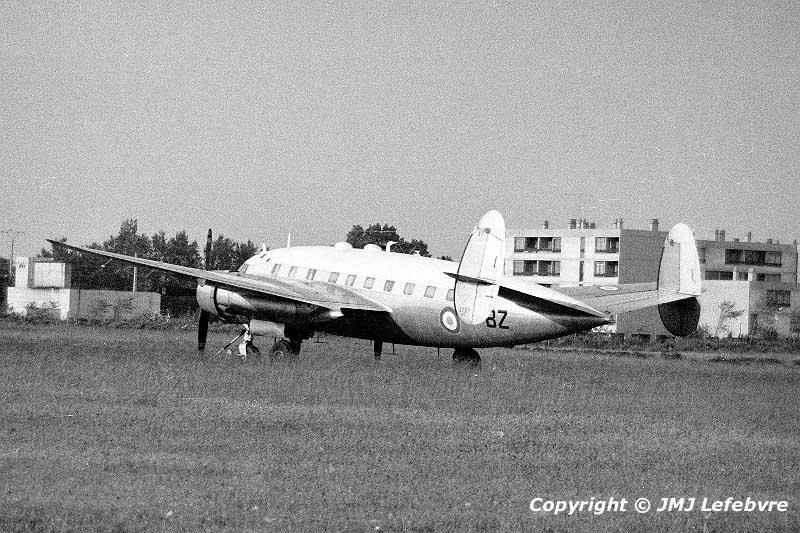 In its inventory, the Istres Flight Test Center had two Sud-Ouest SO-30P Bretagne medium transport aircraft fitted with Pratt & Whitney R 28OOs. So taken in mid-grass with the telelens and though fitted with a towing bar, I think that, except special tests in mushroom environement, this machine had been retired from service. The Bretagne was a good aircraft and I personally remember its more prestigious version, the " France " used, before Caravelle, by General De Gaulle for his official journeys in France or Europe. It was a leather flying flat with office, concentrated bedroom and lounge-diningroom and extra seats for high ranked people accompanying De Gaulle. I remember the beautiful cabin altimeter while over the Mediterranean Sea...coming back from the Algerian Base of Boufarik housing Skyraiders of the 2Oth Fighter Wing to the Villacoublay base near Paris. It was on July 13, 1962. The day before, the aircraft came from the same Villacoublay base to Algiers with, on board, the first French Ambassador in the then newly independent Algeria. This CEV SO 30P C/n 47 coded BZ with registration F-ZABZ. Prototype was first flown on December 11, 1947. Two experimental aircraft were of great interest: the SO 30 Nene fitted with two Rolls Royce/Hispano Suiza Nene jet engines of which were equipped the SO 4000, 6O21 to 6026 prototypes and the SO 30 Atar fitted also as flying test bench with two Atar 101 E3, the turbojets used by the twin-engined bomber SO 4050 Vautours.